All TIMBER CREEK ESTATES homes currently listed for sale in San Antonio as of 04/22/2019 are shown below. You can change the search criteria at any time by pressing the 'Change Search' button below. "Beautiful home in a culdesac totally renovated new floors, fresh paint, inground pool, granite counter tops, open floor and an extra large sunroom for an entertainer. Ye can't miss this Dimon !!" "GREAT OPPORTUNITY for first time home buyers, investors or DIY flippers! This cute & quaint home has 3 bedrooms with 1 centrally located bathroom. 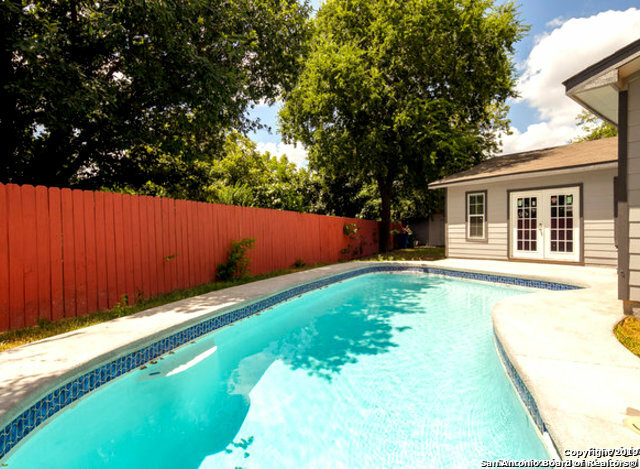 Large fenced back yard and nice trees on a corner lot."